Research at the Office of Useful Art: Liverpool 2015 – Localist Worker has continued apace. Days 6 and 7 (Monday 26th and Tuesday 27th of October) saw further developments of the mapping project by Emma Curd (LJMU PhD student and member of Quad Collective). Whilst this was going on FactLab continued their work with open source software production and artist Adam Clark visited to talk about his Boosbeck Industries project. Finally, on Day 8 of the project (28th October) we were joined by Gemma Medina of Broadcasting the Archive who gave a discussion of their work and developed plans, with Emma Curd, to visit a range of socially engaged art practices in Liverpool as a means to continue developing the Arte Util toolkit. Day 8 also saw the second of two FabLabs, run by Lol Baker, and the return of constituent (and now collaborator) John Hunter who was able to pick up his 3D bust. 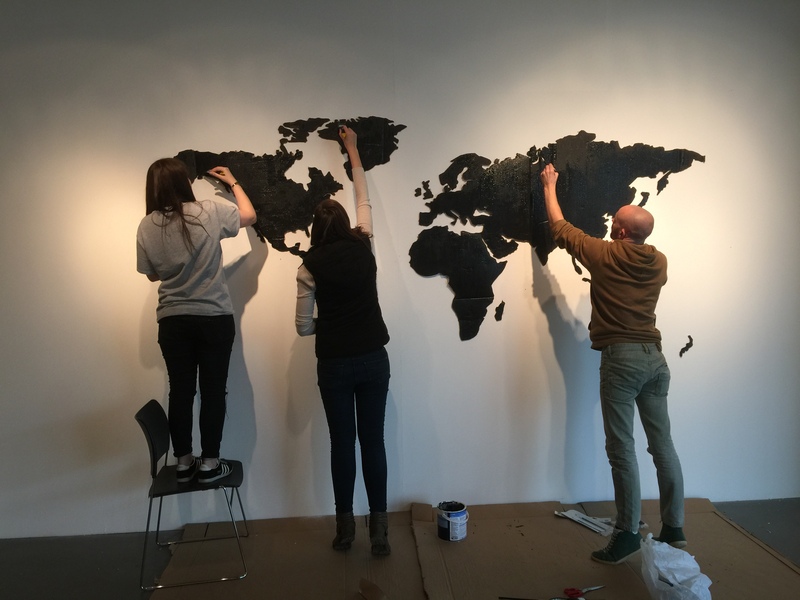 On Monday 19th October and Tuesday 20th October the ‘Office of Useful Art: Liverpool 2015 – Localist Worker’ opened to the public. Many thanks to all those who have attended so far and who are contributing to an exciting fortnight of activities, collaborations and future possibility. 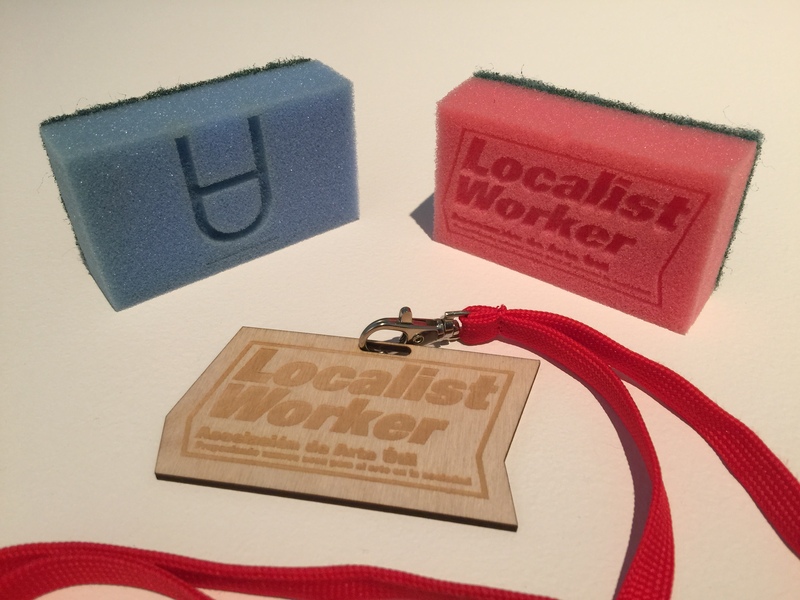 Sponge by Sponge, scrubby by scrubby, wooden fob by wooden fob, the Localist Workers and Users will fill the world with positive action! As part of The Office of Useful Art: Liverpool 2015 – Localist Worker, Liverpool School of Art and Design will be hooking up with Fab Lab Liverpool, FACTLab, and Middlesbrough based Social Art experiment Boosbeck Industries as a means to begin radically re-thinking the relationships between art, technology, use and the work (or labour) of art.